The blockchain Sello Sol is a platform for certification and traceability of decentralized and public solar energy, based on blockchain to be used in products, services and as a verification system for measures to reduce emissions and change the energy matrix of its users. The blockchain allows transactions of energy information in a secure, transparent and verifiable way from its origin. Blockchain technology relies on information cryptography and community consensus to validate associated transactions and operations, unlike a traditional model that relies on trust in a validator / certifier entity. Each participant in a decentralized network of devices has a copy of the transaction log, which is constantly updated, where only new data can be entered into the chain and without modifying the data already existing in the chain. The new data is incorporated into the chain through the process called “Proof of Work” (PoW) or work test. The blockchain is a technology with machine-to-machine interactions, and with high mining frequency (proof of blockchain network work) and checking of the data, allows it to be incorruptible, verifiable and publicly traceable. Sello Sol generates data blocks from energy measurements, on a dedicated (permissioned) blockchain network. These blocks create a sequential link through a hash: a “digital signature” which comprises a mathematical calculation that includes the previous block’ hash and the new processed block, resulting on a new unique code made out of 64 characters for each computed block. The characters on the code (a cryptographic function called SHA256) are directly related to the information contained on the block, meaning that any intent of modifying the information would result on a new hash and would be rejected by the network. The information from both the blocks and hashes is replicated in every device connected to the Sello Sol network. Each new information block is automatically validated by all the devices conforming the Sello Sol network, transforming it into unique and incorruptible data, with whom the final users can verify through the same platform the origin of the solar energy used. 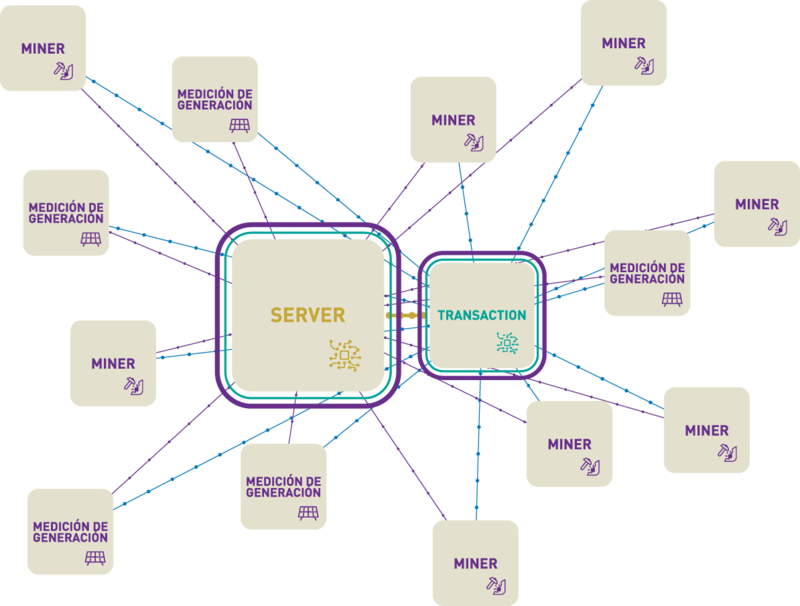 The Sello Sol blockchain network is comprised of data mining nodes and metering stations. The stations are installed on the same premises where each photovoltaic energy system is located, to verify and certify the solar energy generation with a direct connection with the inverter, metering device or datalogger; reducing the risk of error on the data gathered to a bare minimum. Also, each station counts with a series of meteorological variables sensors, as a third party, objective point of comparison to ensure that the performance-ratio of each generation power plant is functioning within the acceptable parameters and there are no irregularities on the system and or registered data. 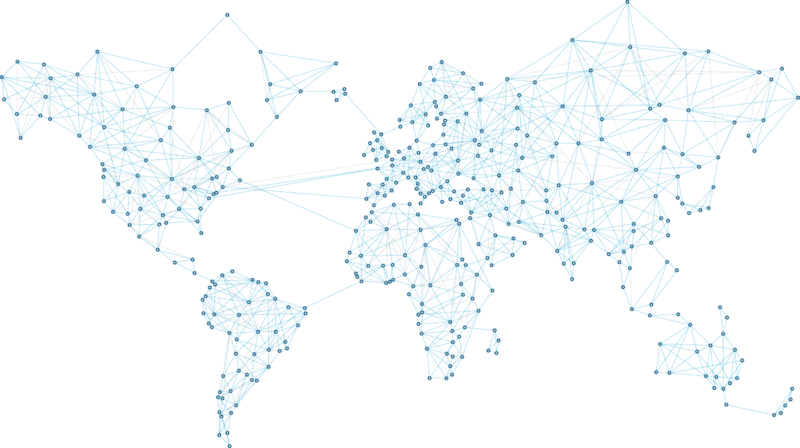 The data mining nodes are both physical and virtual devices, which have been distributed to a selection of trusted organizations and governmental agencies to ensure a baseline on the blockchain network, where the information veracity is key to a trusted certification. The physical nodes are tiny plug-and-play computing devices that, and only need a reliable WiFi connection to work. The energy consumption is minimal, less than 10Wh, and can be energized through any micro USB charger. On the other side, we are currently working on a Windows compatible data mining client, which will be free of charge to download for anyone who would like to participate in our network, with previous authorization from our organization. The nodes operate on a RESTful architecture and do not need a great computing processing power. We have had special care to optimize the power consumption derived from the data mining process, which is practically non-existent. Sello Sol is in GTIME, which has been developed specifically for the measurement and traceability of energy sources, recording the origin of production through the variables of Geolocation, Time, User ID, MAC Address of the device and power generation of the systems associated with our platform. GTIME processes the data every 15 minutes, and incorporates them into new blocks of data in the chain automatically every 20 minutes, avoiding duplication of information and data corruption of the block chain. Send us your enquiry, and one of our sales reps will get in touch with you as soon as possible to evaluate your case and join Sello Sol. The protocols and methodologies developed for Sello Sol have been validated and are being used by some of the most important companies and institutions worlwide. Our blockchain is also sponsored by government agencies and has been showcased as a success case on the use of blockchain in energy in countless conferences in America and Europe.